Going back over old posts, I found one from 6 years ago that covered Milton Friedman. That was in Portuguese, and here I have more. I think the euro is in its honeymoon phase. I hope it succeeds, but I have very low expectations for it. I think that differences are going to accumulate among the various countries and that non-synchronous shocks are going to affect them. Right now, Ireland is a very different state; it needs a very different monetary policy from that of Spain or Italy. On purely theoretical grounds, it’s hard to believe that it’s going to be a stable system for a long time. On the other hand, new things happen and new developments arise. The one additional factor that has come out that leads me to raise a question about this is the evidence that a single currency—currency unification— tends to very sharply increase the trade among the various political units. If international trade goes up enough, it may reduce some of the harm that comes from the inability of individual countries to adjust to asynchronous shocks. But that’s just a potential scenario. You know, the various countries in the euro are not a natural currency trading group. They are not a currency area. There is very little mobility of people among the countries. They have extensive controls and regulations and rules, and so they need some kind of an adjustment mechanism to adjust to asynchronous shocks—and the floating exchange rate gave them one. They have no mechanism now. If we look back at recent history, they’ve tried in the past to have rigid exchange rates, and each time it has broken down. 1992, 1993, you had the crises. Before that, Europe had the snake, and then it broke down into something else. So the verdict isn’t in on the euro. It’s only a year old. Give it time to develop its troubles. Malcolm Knight: Countries with a flexible exchange rate need a nominal target for monetary policy to anchor expectations. 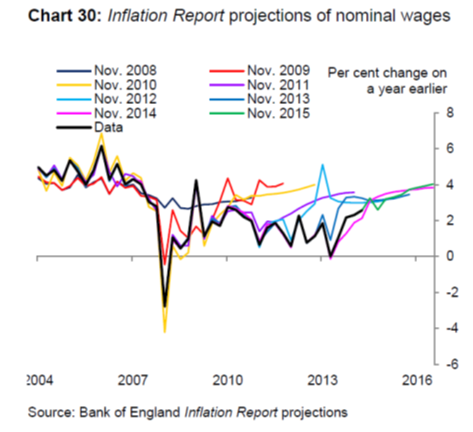 Do you feel that inflation targeting provides a useful nominal target? Milton Friedman: As I mentioned earlier, I think it’s a good thing to have a nominal target, to say that you’re not going to try to fine-tune, and to indicate what you aren’t going to do. The problem I have is this: the current mechanism for all of the central banks who are inflation targeting is a short-term interest rate—as in the United States—in all of the central banks. We know from the past that interest rates can be a very deceptive indicator of the state of affairs. A low interest rate may be a sign of an expansive monetary policy or of an earlier restrictive policy. And similarly, a high rate may be a sign of restriction, of trying to hold things down; or it may be a sign of past inflation. The 1970s offer the classical illustration in which there were high interest rates that were reflecting the Fisher effect of inflation expectations. So I’m a little leery of operating primarily, or almost primarily, via interest rates. But, I think that having a given inflation target is a good objective. The question is, how long will you be able to keep it? Federal Reserve Bank of Boston President Eric Rosengren said Saturday that his confidence that the U.S. central bank can raise rates soon has diminished in the wake of underwhelming employment data. “The jobs report was disappointing; it seems to validate the decision” of Fed officials to hold off on lifting interest rates off near zero levels at their meeting last month, Mr. Rosengren said in an interview with The Wall Street Journal. The performance of the September jobs data, released Friday, “highlights that we need to continue to monitor how the data is coming in to determine when it is appropriate” to boost the cost of borrowing, he said. What many of those highly paid policymakers do not realize is that by harping on the employment cord they are in fact tightening monetary policy, thus obtaining the ‘fantastic’ result of tight monetary policy at ‘zero’ interest rate! On October 23, 1992, Milton Friedman penned an op-ed for The Wall Street Journal in which he bashed the U.S. Federal Reserve for being too tight. 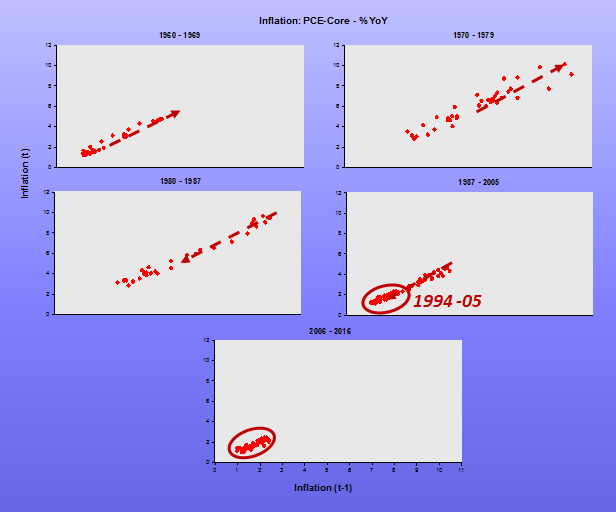 In 1992, the record shows, core inflation was 3.3%. The GDP grew at 3.4%. But Friedman thought the Fed should try to bump up one, or both, of those figures. Thus, Friedman was calling for a 7% NGDPLT, maybe more. In the years since Friedman in 1992 bashed the Fed for being too tight—which he also did in 1957, and also in his study of the Great Depression—the economics profession became demented, and developed a peevish fixation on inflation, and even a perverted obsession with zero inflation or deflation. 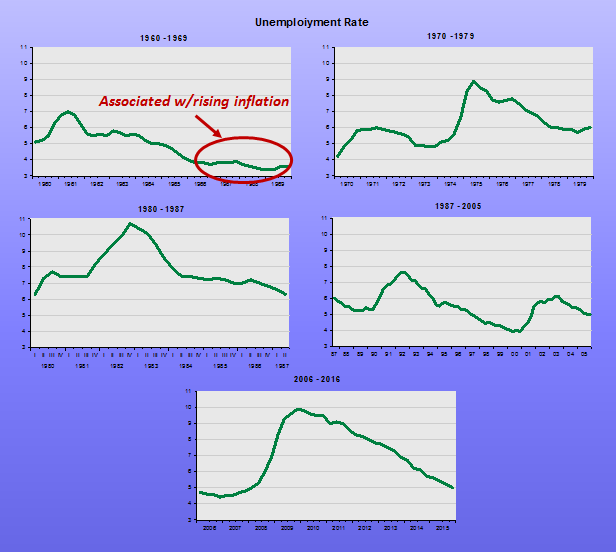 Deflation has not worked in any large modern economy; see Japan. 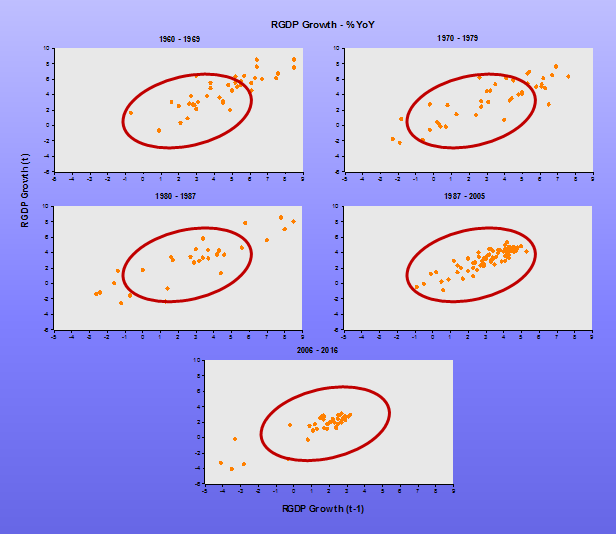 The island growth rate through their deflationary years was 0.5%, below that of statist France, or any place that was not a backwater basket case. Yet today we see Fed Chair Janet Yellen solemnly administering a monetary policy far tighter than anything Friedman ever proposed. Yellen is evidently targeting inflation below 2%, and appears tolerant of sub-2% real growth. Recent departees from the FOMC wanted the screws even tighter. Thus, the Fed has a 4% NGDPLT, and maybe not even. I am sad to say some in the Market Monetarist movement seem to abide by such cramped, microscopic levels of growth and inflation. I do not know why. We are talking about nominal indices of prices, of dubious accuracy. And the U.S. economy is surely capable of many years of at least 3% real growth. I have proposed a 7% NGDPLT for now. Just like Milton Friedman did. But then, I think the purpose of macroeconomics is prosperity, not a slavish devotion to a nominal and arbitrary price index. Or a craven appeasement of dogmatic, partisan fantasies of what is macroeconomics. 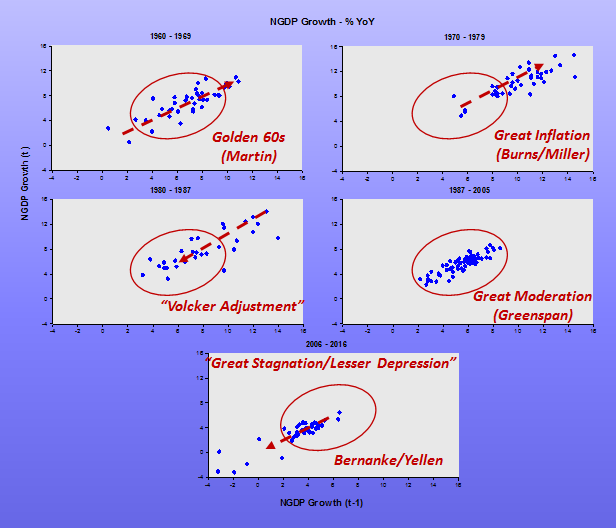 Can we get back to robust growth and moderate inflation? What was wrong with that outcome?